The Sample Gates are your welcoming entryway to Indiana University, located in charming Midwestern Bloomington, approximately 50 miles south of Indianapolis. The flagship University of the Indiana system with an enrollment over 40, 000, Indiana is a large school in a beautiful environment of rolling hills and limestone quarries. Considered by many as having one of the best college towns in the U.S., most everything is within walking distance of the campus. Transportation: Visitors to IU Bloomington traveling by plane fly into the Indianapolis International Airport (one of the easiest airports to navigate. )The drive is roughly an hour and 20 minutes from Indianapolis. Go Express and Carey Indiana provide transportation to and from the Indianapolis International Airport. Uber is an available option as well. Use IU's interactive map to find parking and to locate buildings. Stay: Right on campus, located in the Indiana Memorial Union, the center of student life at Indiana, check in to the Biddle Hotel. Newly opened and steps from the Sample Gates is The Graduate. Springhill Suites Bloomington and Hyatt Place Bloomington are located downtown, surrounded by all the best restaurants and shops, all within walking distance to campus. We loved staying at the charming Showers Inn, a sweet bed and breakfast. One parent raves about her stay at The Grant Street Inn noting their fantastic breakfast! (Stay in the newer Annex rooms.) For more information on where to stay, click here. Coffee: Head to The Pourhouse Cafe, right on Kirkwood Avenue, for stellar coffee and a cozy atmosphere. Hopscotch is the latest coffee house to hit the scene serving great coffee while being eco-friendly. Soma, our favorite spot, offers fresh juices and healthy smoothies in addition to its quality brews (the chai lattes are also worth trying.) Running late, grab a quick coffee at the Starbucks at the Memorial Union. Breakfast: Everything at Uptown Cafe is excellent including the lively atmosphere and perfect location on Kirkwood Ave.Students rave about the chicken and waffles at B'Town Diner. Since 1976, The Runcible Spoon Cafe & Restaurant has been a popular morning spot for both locals and IU students - we loved the cozy atmosphere and the delicious omlettes. Students also congregate at Village Deli, ordering the pumpkin pancakes or the Hoosier Scramble. Foodies should allow time to sample the Shakshuka or Skillet Frittata at Feast, known for having one of the best weekend brunches in town. Lunch: You will see many Hoosiers dining on wings and mozzarella sticks at BuffaLouies. The Food Network is a big fan of the Lugar Burger at Farm Restaurant, claiming it’s the best in the state. Or try one of their Farmwiches, mid west tacos or wood fired pizzas. For other great burger options, head to Bub's Burgers (home of the "Big Ugly") or Hinkle's Hamburgers. Order the Greek sampler or a gyro at the Trojan Horse. When the weather gets colder, head to Darn Good Soup for a variety of delicious daily soups including gluten-free and vegetarian. Fancy something more exotic? Try a sampling of momo’s (dumplings) at Anyetsang’s Little Tibet alongside other Thai, Indian and Tibetian specialties. Mother Bear’s Pizza is an IU student favorite. A Step Up: One of the more popular restaurants with an extensive menu is Malibu Grill. Just blocks from IU eat dinner in a 125-year-old mansion at The Scholars Keep. Offering a comprehensive wine list and solid steak dinners, head to Janko's Little Zagreb. Late Night Snack: Voted best doughnut shop in Bloomington, head to Square Donuts for their unique square shape and unbeatable taste. For delicious hand crafted ice cream, head to Hartzells. Local Attractions: Often cited as one of the most beautiful campuses in the country, the beauty of Indiana University is well known. No trip to IU is complete without visiting the legendary sports facilities and unique museums but take some time to explore the grounds and discover these icons around campus. Walk down Kirkwood Avenue, the main “college” street with its concentration of shops and restaurants. 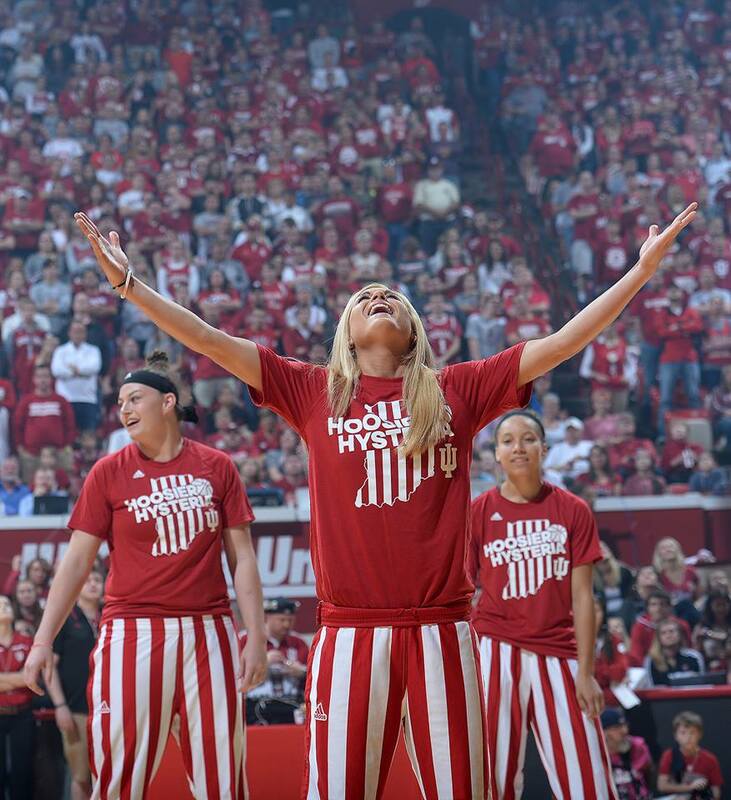 Check the schedule and if you’re lucky cheer on the Hoosiers at a game! Lake Monroe (the largest man-made lake in Indiana) is about 10 miles south of campus and a popular spot for students in the warmer months. Considered one of America’s best farmers markets, the Bloomington Farmers' Market is open every Tuesday and Saturday from April-November. Take a tour of the Bloomington Brewing Co., one of Indiana's first craft breweries. Save time to stop by to enjoy the impressive art collection at the Eskenazi Museum of Art at Indiana University. Just toured the Indiana University Campus? Are you a Indiana University student, parent or Alumni? Fill out this 2 minute survey to supplement our Daytripper University Guide for Indiana University!